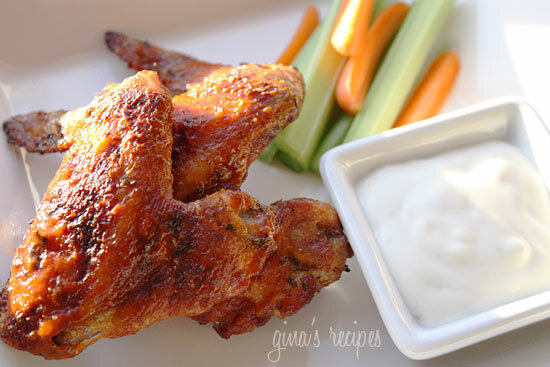 Baked, not fried, these wings will be the hit at your next party! In a large bowl combine chicken, 2 tbsp hot sauce, vinegar, oregano, paprika, garlic powder, chili powder salt and pepper. Mix well and let marinate for 30 minutes. While chicken cooks, heat the remaining hot sauce until warm. Toss the hot sauce with the chicken and arrange on a platter. 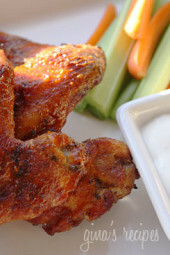 Serve with celery and carrot strips and blue cheese dressing or dipping.